This post was originally published away back in 2013 and as the images were shockingly bad I decided it was time to give this post a bit of an update. Plus I was making this recipe anyway 😊. 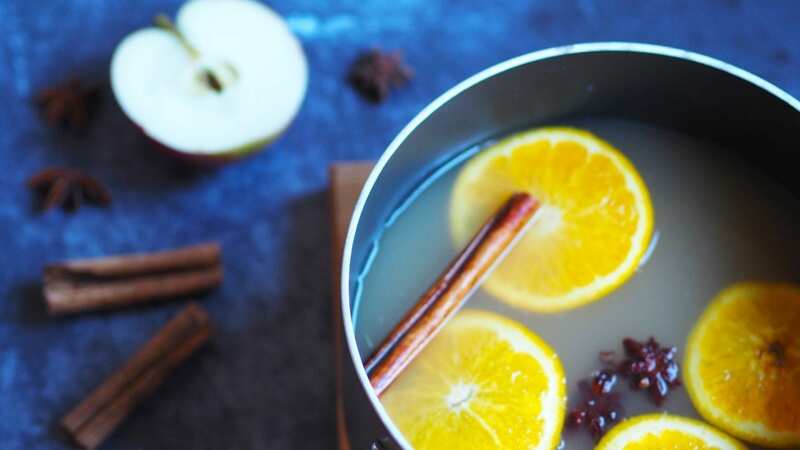 This Mulled Apple Juice is the perfect non-alcoholic alternative to mulled wine and is ideal for entertaining kids and drivers. 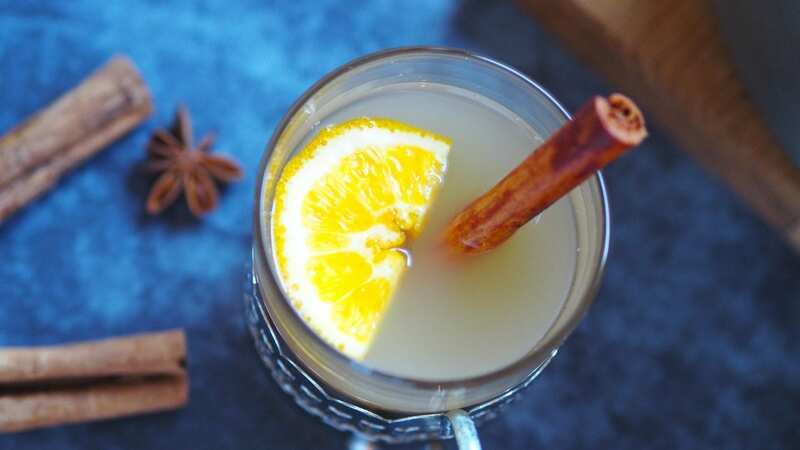 Mulled drinks are very popular at this time of year due to their festive flavours of cinnamon, cloves and oranges. 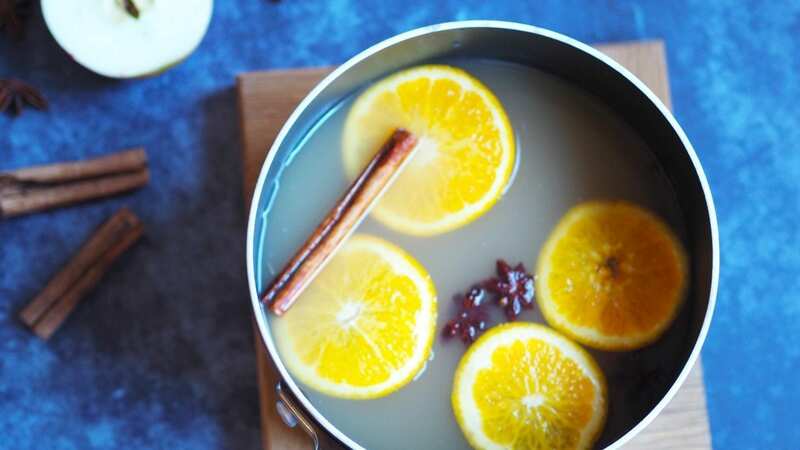 When it’s cold, wet or snowy outside, some mulled wine or apple juice will warm you up. 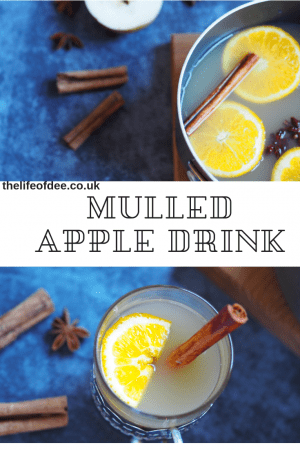 I’m not a lover of Mulled Wine as I don’t like the taste of red wine but this Mulled Apple juice is the perfect warm festive drink that kids and drivers will love. You could even replace the Apple juice with cider if you want an alcoholic beverage. It is delicious and very easy to make with just a few ingredients. 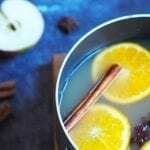 It will also fill your kitchen with a gorgeous festive aroma. Add all the ingredients to a medium sized saucepan and place over a medium heat. Once it is starting to simmer turn down to a low heat for 20 minutes for the flavours to infuse. Once ready pour into heat proof cups or mugs. 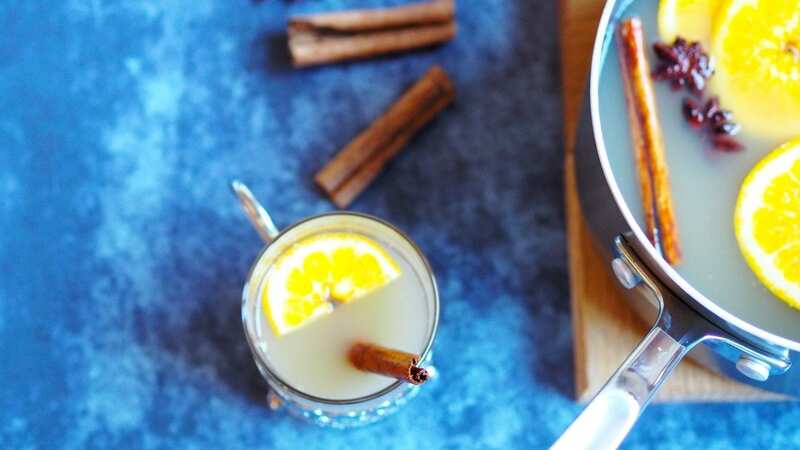 Garnish with sliced oranges, apples or a cinnamon stick.